Living organisms require enzymes to regulate the chemical reactions necessary to maintain life. 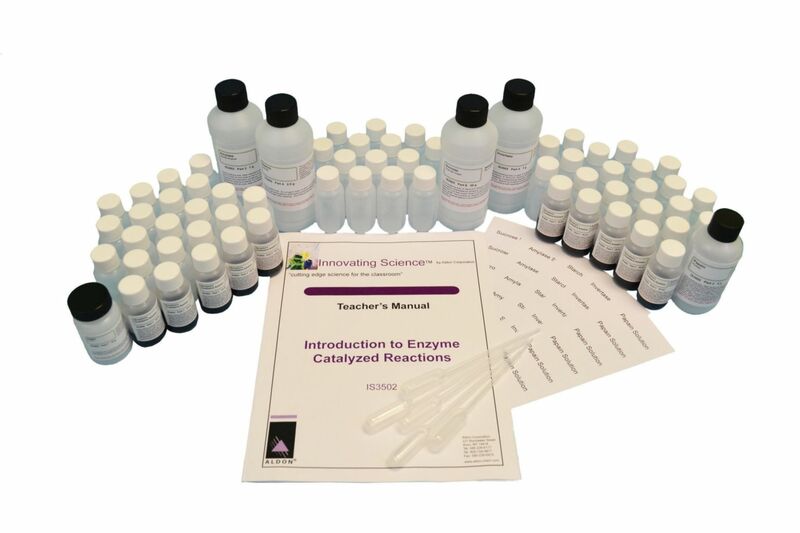 The activities in this kit introduce students to the concept of enzymes. Students perform a series of four experiments involving invertase, amylase, and papain to demonstrate different enzyme functions, activities, and specificities. This kit contains enough material for ten groups. Ordering information: This activity includes starch-solution quick prep, sucrose-solution quick prep, invertase-solution quick prep, amylase-solution quick prep, papain-solution quick prep, Benedict's qualitative solution, gelatin powder, a graduated and plastic pipet, student-solution bottles with labels, a teacher’s manual, and study-guide copy masters.